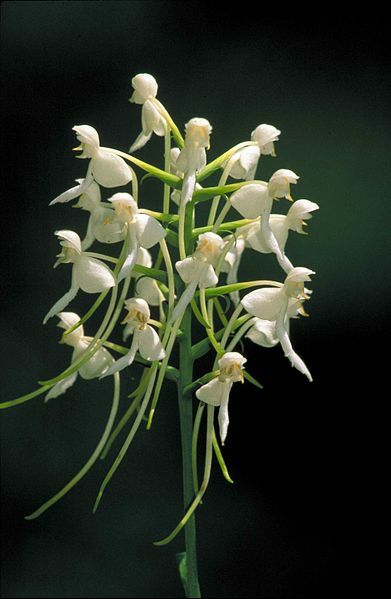 The white fringeless orchid is at risk, reports the US Fish and Wildlife Service. Although not facing extinction, numbers are low numbers at more than half the orchid’s known locations. Apparently, there are 58 known occurrences of the orchid, across five south-eastern states, mostly in forested wetlands. 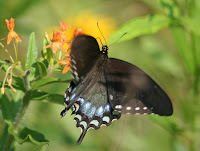 Sadly, the afflicted orchid it appears to depend on a limited number of butterflies (the silver spotted skipper, spicebush swallowtail (pictured), and eastern tiger swallowtail) and a single species of fungi to complete its life cycle, so it is highly vulnerable. 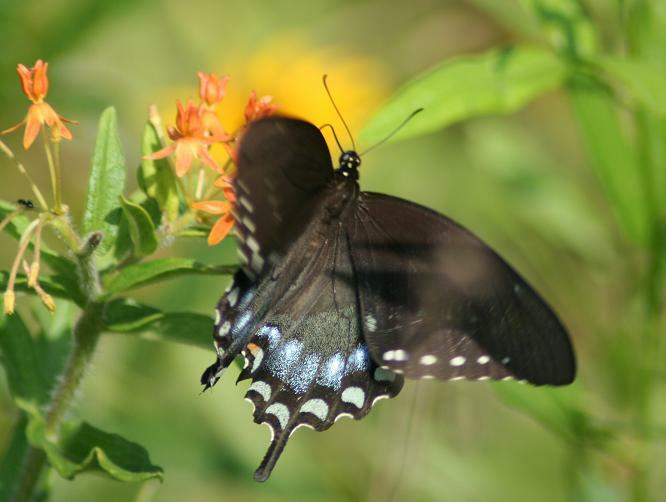 the silver spotted skipper, spicebush swallowtail, and eastern tiger swallowtail. One population in Winston County, Alabama, disappeared after the removal of beaver dams, while others have been lost through construction. Deer have been spotted eating them, and they’ve even been dug up and consumed by feral hogs. Humans are also to blame, still collecting this beautiful orchid for sale. The service hopes to the increase conservation efforts needed to recover the plant.